OneType – eCommerce WordPress theme is a stunning, powerful theme, to power the smallest or largest online store. Highstake – blog and magazine WordPress theme is a powerful theme. 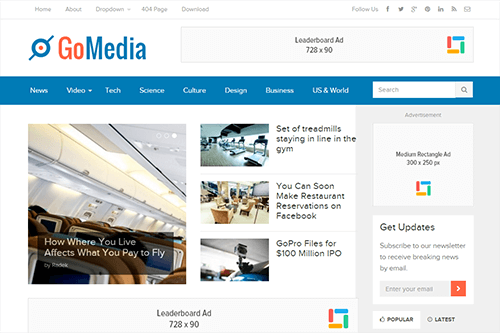 Share articles, grow a community, connect with your audience, and grow your business! A powerful magazine WordPress theme, for creating a beautiful, fully-customisable publication. Pinpoint makes it easy to create a beautiful page of photos, videos, text, and more. Whether that’s for a portfolio, showcase, or your own inspiration board! A WordPress theme for travellers, explorers, adventurers, nomads, and eager souls. Wayfarer is a stunning WordPress theme to document your travel, story, or portfolio. It’s packed with thoughtful features to make the perfect website for travellers, explorers, and adventurers. Feature specific destinations or posts, hook up your social accounts, and much more. All with a few clicks! Create a home for your favorite content with the Collection theme. Resizable is a flexible magazine theme with a responsive edge. Create a responsive news website that all your visitors can enjoy with Newswire. 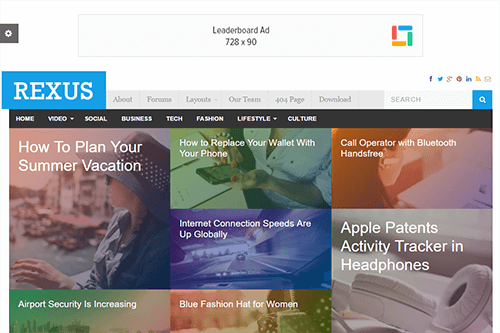 WordPlus is a magazine theme with a strong technology focus. Pinable is the Pinterest-style WordPress theme for curating creative content online. Company makes creating an effective business website a breeze. Share the best discount codes and coupons with the Deals theme.